Posh Gadget Of The Day: "The LG DoublePlay"
Dual customizable touch screen that you can use independently or tandem. I love this feature because you can surf the web, text, check your email, and enjoy Social Network sites like Facebook or Twitter. I spend hours on social network sites so, that is a plus and it's easy to use. The LG DoublePlay also comes with a 5 mega pixel camera LED flash. You can use it as a camera or video recorder. I use this feature when I blog on the go. I also enjoy this feature because I can upload to facebook or email to family and friends instantly. The fun part of the LG DoublePlay is that you can customize 7 home screens and up to 9 touch screens shortcuts for one-touch navigation. Go and get the LG DoublePlay it's availabe at all T-Mobile stores!!! 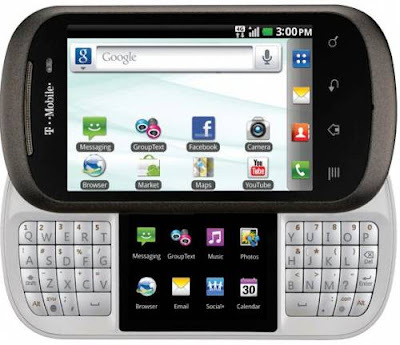 How do you think the LG DoublePlay would change the way you text or interact with Social Networks?